Kyle Eberth, the co-area director for North Central Washington Young Life, brings a boundless and infectious sense of passion, energy, enthusiasm and acceptance to his work helping connect kids in our region with positive and supportive adult and teen mentors. For more than 36 years, Young Life has been operating in the valley. While the non-denominational program is Christian based, Eberth told me that they meet kids where they are and everyone is welcome, whether have strong beliefs or whether they have serious doubts. I sat down with Eberth to learn more about his work and the value of the Young Life program. The faith-centered program has 55 volunteers and serves programs geared to high school, middle school, those with special needs and teen moms. Young Life is about building relationships. 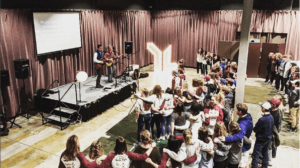 The focus is on showing up for kids not just at Young Life events but also in the activities that they are involved in at school or in the community. Many kids these days don’t have strong adult role models and that can leads to kids isolating themselves or pursuing self-destructive activities. Young Life leaders and volunteers can play an important mentoring role for kids who are trying to figure out how they fit in the world. The program also helps student leaders develop those same welcoming and acceptance towards others in the school, Eberth said. Eberth, who moved to the Wenatchee School District as a freshman in high school, has a deep appreciation for the angst that goes with being an outsider. He had attended some Young Life events in Riverside, Ca., and when his family moved to the valley, he gravitated to the local program and its long-time area director Don Meyers. Meyers and the program “made a big impact on my life,” Eberth said. He recalls Meyers showing up to his swim meets as a WHS student. 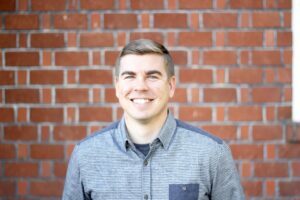 In college, Eberth got involved with Young Life activities at Whitworth College and after graduation, moved back to the valley to continue his work with the program. He and his wife Kelsey have two young kids. One of the things that sets Young Life apart is the sense of adventure, fun and fellowship that are a core part of the experience, Eberth told me. The faith part connects with some kids more than others, Eberth told me. Regardless, everyone is welcome regardless of where they stand. In a society that where faith is often a way to separate and judge others, I found the Young Life approach refreshing. 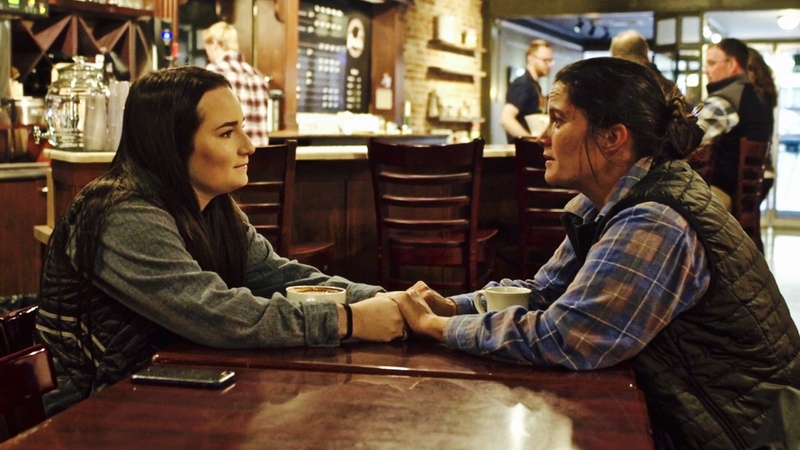 “One of core convictions of Young Life is that we want to be in the world of high school kids, middle school kids, special-needs kids and teen moms.” Eberth said. Eberth things the Young Life approach is consistent with the way Jesus approached life — seeking ought those who were isolated and ostracized. When faced with choices of two extremes, Jesus opted for the middle way. Every week, high school students from Wenatchee and Eastmont gather at Pybus Public Market for music and fellowship. They’ll have nearly 100 kids there on a given night. “We’re not fancy,” Eberth said. What they may lack in sophistication they make up for with positive energy. High school kids, he said, are wonderfully honest, and when they tell him that they aren’t really sure about their religious beliefs, Eberth tells them “that’s fine.” The focus is on creating a safe place for kids to ask difficult questions, raise their doubts and struggle to figure out answers. It’s about sharing joys, sorrows, trials, tribulations and celebrations together in community. It’s about meeting kids where they are rather than waiting them to show up. No matter where kids are in their journey, the door is always open and they will find love and acceptance, Eberth told me. I believe that programs like this build a stronger sense of belonging by connecting people to each regardless of whether they agree on issues of faith or anything else. Appreciating other viewpoints has become something of a lost art in our society, at least at the adult level. What would be possible as a community and as a nation if we were to follow the example of Young Life? What would our politics look like? How would we respond to our immigrant neighbors or refugees? How would we interact with people who held different political views? We are tremendously blessed to have Young Life in North Central Washington creating opportunities for meaningful and positive relationships with adults. These are the kinds of programs that deserve great support and encouragement.